“Little One” in Cheyenne, Ayasha is one of our main program animals and loves to interact with people. She survived the snowy mountains of Northern California for 2 weeks alone before animal control was able to lure her with a piece of pizza! 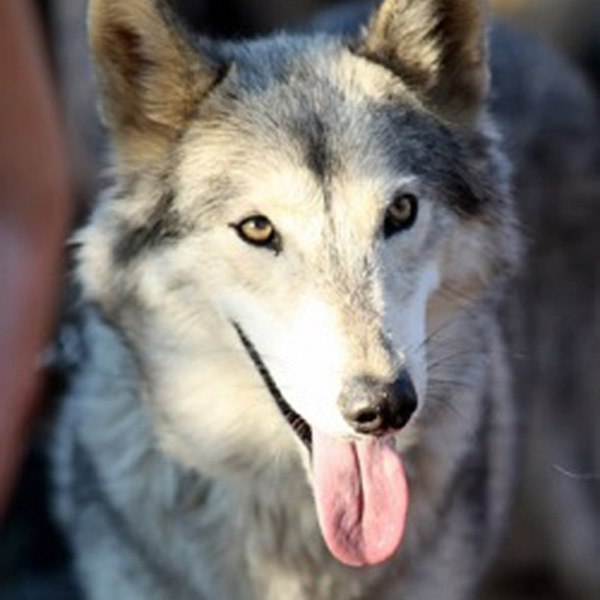 Being the sweetheart that she is, she won the hearts of the shelter employees there who, making every attempt to save her life, found Wolf Connection. Ayasha loves to wrestle with her best friend Beau and pose for pictures at events. She is a star at school presentations when she howls for her audience!